Dedicated to their work of keeping herds in natural surroundings, our farmers invest considerable energy into caring for their animals in order to produce the finest milk for our excellent cheeses. They love their outdoor lifestyle and wouldn’t change a thing. 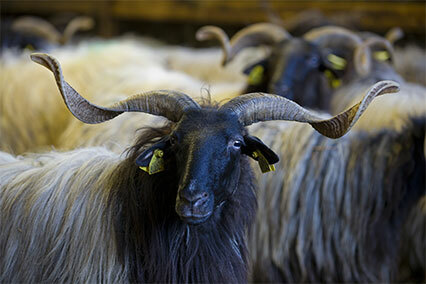 A special feature of these breeds is the magnificent curled horns displayed on both ewes and rams, of which their shepherds are particularly proud. From the end of spring to mid-October, certain herds migrate into the high mountain pastures known as estives. The migration period or transhumance remains to this day a festive and memorable occasion. Up here, at an altitude between 1 000 and 2 000 meters (3000 to 6000 feet), the animals graze in pristine meadows of fragrant grass while hay is harvested on the prairies in preparation for winter. Ewes are milked twice each day, and milk is collected daily from the farms. The estives are too distant for milk to be transported each day, so the special estives cheese is made on site, in Cayolars, traditional mountain pasture shelters used by shepherds. 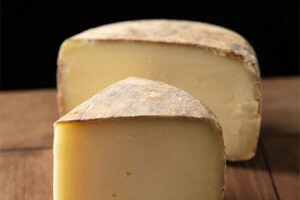 Estives cheese is by necessity made from raw milk in small batches and from just one herd, so the regulated term fermier can be used. This full-flavored cheese develops complex aromas, and is highly sought-after by connoisseurs. What a wonderful profession! 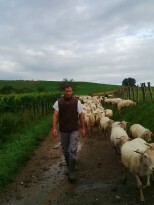 I am a sheep farmer in the Basque Country. I was born surrounded by ewes. I learned to love my work through my parents, who were sheep farmers all their lives. 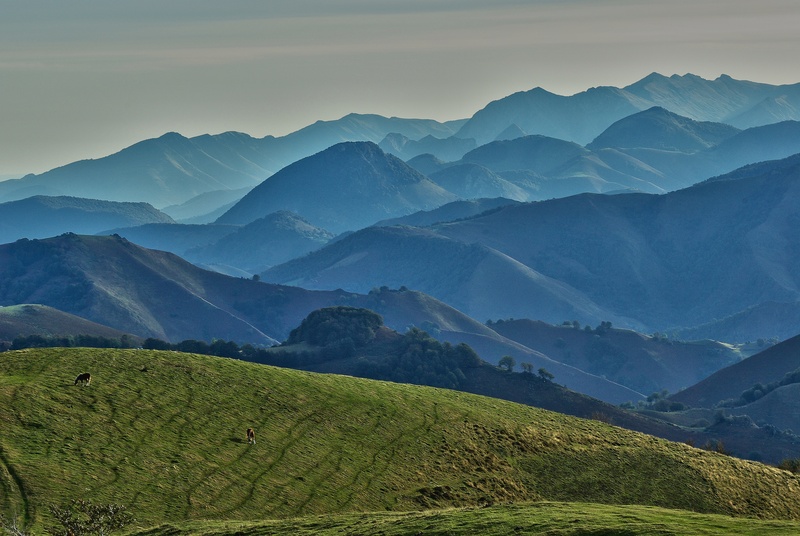 With its oceanic climate, the Basque Country provides this incomparable wealth, a mild winter, and abundant rainfall to give us the grazing pastures we need for our ewes. Whether dried as hay or fresh in pasture, grass remains the foundation for feeding. It also provides the special characteristics, the aromas that are unique to our milk. Farmers created Onetik and they bring all their experience and know-how to produce the finest cheeses in France. Between modern methods and a respect for tradition, we need to represent the Basque Country. Our region has a strong character and a unique lifestyle, longstanding traditions, and above all a determination to create exceptional products.